Introductuction: A year ago I began re-reading KARL BARTH and found a copy of an essay, “The Strange New World within the Bible”. Deciding to preach on this topic, I find Barth’s writings as relevant today as nealry 100 years ago. My only regret is giving away many of by Barth books when I was cleaning out my library. Sermon: “STRANGE NEW WORLD” Preached at the Warren Avenue Presbyterian Church in Saginaw, Michigan on July 29th 2012. 97 Oh, how I love your law! It is my meditation all day long. 98 Your commandment makes me wiser than my enemies, for it is always with me. 99 I have more understanding than all my teachers, for your decrees are my meditation. 100 I understand more than the aged, for I keep your precepts. 101 I hold back my feet from every evil way, in order to keep your word. 102 I do not turn away from your ordinances, for you have taught me. 103 How sweet are your words to my taste, sweeter than honey to my mouth! 104 Through your precepts I get understanding; therefore I hate every false way. 105 Your word is a lamp to my feet and a light to my path. 106 I have sworn an oath and confirmed it, to observe your righteous ordinances. 107 I am severely afflicted; give me life, O Lord, according to your word. 108 Accept my offerings of praise, O Lord, and teach me your ordinances. 109 I hold my life in my hand continually, but I do not forget your law. 110 The wicked have laid a snare for me, but I do not stray from your precepts. 111 Your decrees are my heritage for ever; they are the joy of my heart. 112 I incline my heart to perform your statutes for ever, to the end. But as for you, continue in what you have learned and firmly believed, knowing from whom you learned it, 15and how from childhood you have known the sacred writings that are able to instruct you for salvation through faith in Christ Jesus. 16All scripture is inspired by God and is* useful for teaching, for reproof, for correction, and for training in righteousness, 17so that everyone who belongs to God may be proficient, equipped for every good work. Now Jesus did many other signs in the presence of his disciples, which are not written in this book. 31But with what is written may you come to believe* that Jesus is the Messiah,* the Son of God, and that through believing you may have life in his name. Today’s sermon is about this collection of 66 books, bound together in one best-selling book called simply: The Bible. What is there within this “strange world” of the Bible, the centerpiece in our worship, that has meant so much to so many people for thousands of years? It was back in college when I first encountered a wonderful essay by Karl Barth, the great German theologian, titled: The Strange New World within the Bible. We are with Abraham in Haran. We hear a call which commands: ‘Get thee out of thy country, and from thy kindred, unto a land that I will show thee.’ We hear a promise, ‘I will make of thee a great nation. And Abraham believed in the Lord; and he counted it to him for righteousness.’ What is the meaning of all this? We feel that there is something behind these words and experiences, but what? We read all this, but what do we read behind it? We are aware of something like the tremors of an earthquake or like the ceaseless thundering of ocean waves against thin dikes; but what really is it that beats at the barrier and seeks entrance here?…. I have always loved the wonderful way Karl Barth framed the question: What is this strange new world before us? What is there for us within the Bible? There are times when reading the Bible I wish we could touch and taste (like sweet honey) and smell and see or hear all that was going on in this land of the Bible…..so we could use what we can touch and taste and hear and smell and see in living our lives. In preparing this sermon I prayed for a couple of things …. I prayed for God’s Word to be the light on our path that shines in helping us grow and be nurtured in faith in our lord. I also prayed that our entering this Strange New World of the Bible become for us an opportunity capture and carry some of the glory of God outside this holy book in living our lives. 1. First, words of scripture while providing powerful stories of inspiration and wisdom are also instructive in helping us live our lives. Think of the number of times you hear some of the stories of the Bible….sometimes/many times over the years. Instructive concepts from scripture that repeat themselves. Example, the theme of God’s love and compassion run consistently through the Old and New Testaments….people are always longing or searching for something beyond themselves, something positive, something refreshing and something good. While there is evil in the world, the aspirations of those we find in the Bible are people struggling with evil searching to find God’s peace. And these are all themes that grow with us as we grow in faith. God’s Word grows and changes with us as we mature and grow through the years, always finding within this strange land of the Bible God’s teaching us new things…..like God’s love and peace, that can be integrated into our lives throughout our lives. Consider this thesis: As we grow, the awareness of God’s presence in our lives also grows. Even though you may have been active in the life of the church for dozens of years….even decades …. God is always fine-turning this relationship …. helping us become all that God would have us become in living our lives …. within the context of the core value found in all Scripture – God’s love! 2. The second point in looking at Second Timothy: This holy book becomes for us God’s ‘inspired Word’ – a phrase we use often in our church. What does this mean? “God’s Inspired Word?” Simply, what we have in our Bibles is not perfect. Don’t get me wrong. I am not saying God is not perfect. It is God’s inspired word that comes to us through the experiences of women and men who lived thousands of years – BIBLE PEOPLE – who give us a glimpse into the world, strange as it may be, of God’s perfection. A good example of this: What we read in the Bible and interpret from person to person is going to vary—depending on who is reading and doing the interpretations. We who read the Bible are not perfect. How we interpret what we read is not always going to be the same. 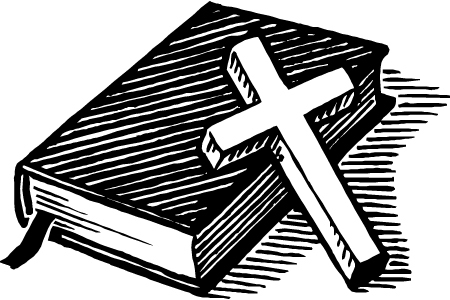 A basic, foundational Presbyterian principle: The Bible is God’s Inspired Word. From the Book of Confessions of the Presbyterian Church, scriptures, quote: “given under guidance of the Holy Spirit, are nevertheless the words (small w) of men, conditioned by … the places and times at which they were written.” (C67-9.29) These words (small w) of scripture help us through the Holy Spirit help us truly hear God’s Inspired Word (capital W). The writers from Genesis through Malachi in the Old Testament and Matthew through Revelation in the New Testament were written by hands of those who were inspired by the Holy Spirit …. Separate books that were in fact written at different times, over many years by different authors, various settings, different environments and backgrounds, different races of people – and host of cultural settings. And it was men in the early church counsels around 300 ad who decided which of these books truly represent God’s inspired words….creating what we have now known as the Bible. What we truly need, when we open the Bible are OPEN EYES and OPEN MINDS and OPEN HEARTS to truly listen and hear all that God has to say to us – not just historically but experientially, from where we are in living our lives – from where we are sitting today in worship. All of this comes down to one more crucial question: Will we, in faith, open our hearts to hear God’s Word? God speaking to us today? Giving us something we can take with us from this worship into the world around us? This is for me what the Bible is all about! Our coming to believe that Jesus is the Messiah. We can learn about his life. We can hear about his teachings and preaching and healings. We also travel with Jesus, scripturally, through many experiences including his death on the cross. We learn about his resurrection and the hope we place in this man who promises to not only be with us – always with us – but with us eternally to the end of all time – always in the almighty arms of God. These are pretty exciting things we learn in opening the Bible in searching for God. So this suggestion: Do you think you may want to renew your commitment to open this book more often in nurturing a closer relationship with God? Is this something you may want to do? I hope so! From this book we can learn so many things about God in nurturing a closer relationship with the Messiah – our Lord, whom we believe to be the living Christ in our midst. I am always saying Christ is walking with us – in and between us in living our lives. Opening this sacred book can help this “belief” become “reality” in our living our lives. Let us always remember we are a Christ-Centered church and this Bible is our operations manual. It is my prayer that the Bible no longer be a “Strange World” but a world of familiar stories and lessons that can help us grow in faith. It is also my prayer that we not be strangers to what is in the Bible….always plenty for us to learn in opening up God’s Holy Word. Lastly, it is my prayer that God’s Word enter our lives so the story of God, through each of us, will continue to reach the world around us. May God continue to bless us as we read and integrate God’s holy and sacred words into our lives. PCUSA is not BDS and is pro-Israel!